…And why every new mum needs one! No, I don’t go to births. And no, I’m not a jeweller. I’m a postpartum doula, and I don’t blame you for having zero idea what it is that I actually do -- because up until a couple of years ago, I’d never heard of that job title either. A postpartum doula is someone who supports families in the wake of a new baby. Whether you’re a first time mother or a fourth time I’m there to focus on your needs, because I’m a firm believer in the saying that when a baby is born, so too is a mother. 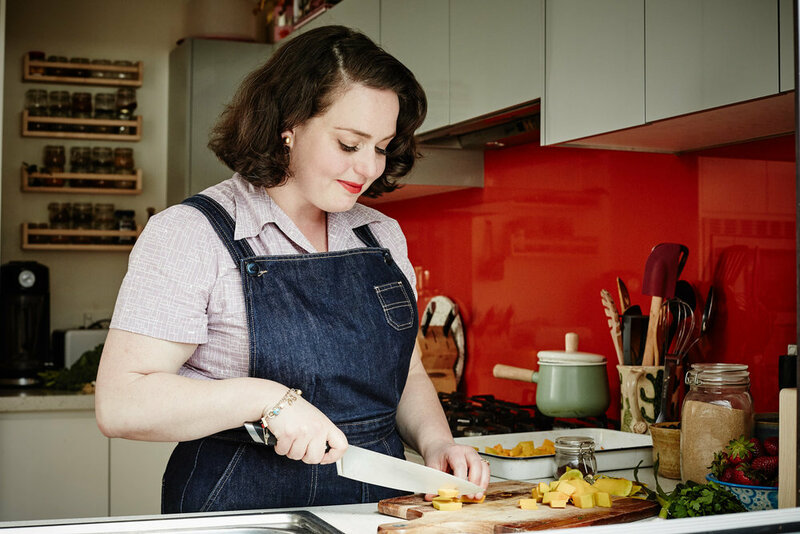 I help out in a couple of different ways - I deliver food that’s been specially tailored to the needs of new mamas around Sydney, and I offer in-home visits to mothers who need non-judgemental support. In our culture, we’re so geared towards pregnancy and birth and when it comes to postpartum (the period after birth) there’s far less of a focus. It’s all about setting up the right stuff, but very little about planning to get the best support. It’s not like that everywhere, and in many cultures women are cared for in special ways, given specific foods, massaged and celebrated. I’m a firm believer in the saying that when a baby is born, so too is a mother. In the West, though -- where one in six new mothers will develop postnatal depression or anxiety -- we’re sent off with our babies and expected to fumble through, often without support… or with help that comes with a side of judgemental mother-in-laws, oblivious siblings, nosy neighbours, friends who want to help but don’t know how. I know how being sent off for a long hot shower -- while you don’t have to worry about an unsettled newborn can make you feel a little more like yourself again. I know how nourishing food that’s tailored for your needs can help you recover and rebuild your energy. I know that sometimes women need to be told to go to sleep, that someone else is going to tidy up and do the laundry. I know that having a shoulder rub with warming Ayurvedic oil can make you feel like you haven’t spent the majority of the day breastfeeding your baby. I know how to listen and help you tap into your intuition… and shut out the “shoulds” that are thrown at new mothers from left right and centre. I help the house run a little more smoothly, your mind ease a little, your body feel better. I called my service Cocoon because that’s what every new mother needs - and postpartum doulas like me are here to provide it. Sorry I can’t help with the jewellery, though! 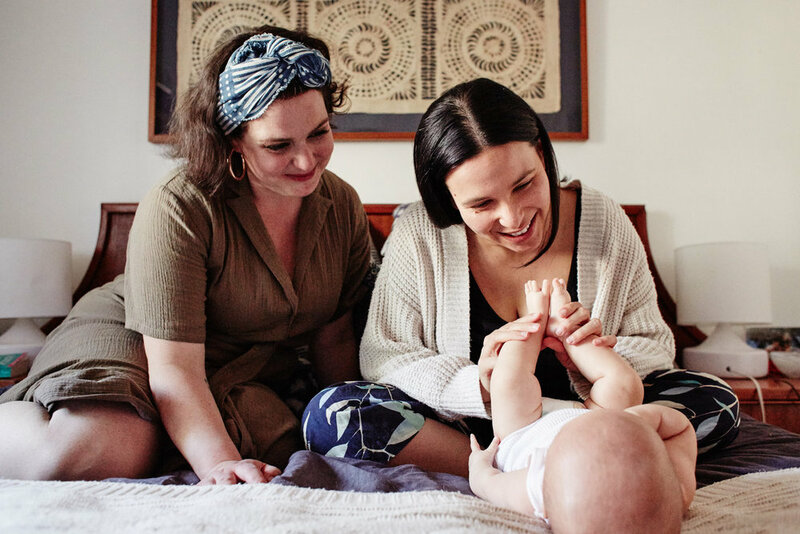 Naomi Chrisoulakis (@cocoonbynaomi) is a postpartum doula and cook delivering food and in-home support to new mamas in Sydney. $5 from every food package is donated to our charities of choice - Birth for Humankind and PANDA. To find out more visit her website www.cocoonbynaomi.com.